Few have successfully challenged Starbucks anywhere in the world. But now there is Luckin Coffee, a brazenly cool, VC-funded startup in China that, in an astonishing nine months, has swollen to more than 650 locations, a $1 billion valuation, and lots of buzz. The quick take: We are talking a breakneck coffee war. Chic is Starbucks' greatest asset everywhere, but it is facing a determined rival in the homegrown Luckin, which wants to transform the uppity $5 latte into a more chill, mass-market product. Why it matters: In both the U.S. and China, Starbucks is losing its mojo. Store traffic in the U.S. was down 2% in the last quarter, and Chinese sales dropped by the same percentage. In the U.S., the answer has been to raise prices. But in China, its drinks are already priced sky-high, and it will have to beat the plucky Luckin in product and service alone. The latest: Determined to survive and hold onto its clear lead in the world's premier growth market, Starbucks last week announced a high-profile alliance with China's greatest e-commerce behemoth — Alibaba. The alliance is meant to attack Luckin at its strength — fast delivery. Luckin often delivers coffee to offices in 18 minutes, or even faster. Starbucks says Alibaba's Ele.me food delivery affiliate will deliver within 30 minutes. It's not clear that brute force will be sufficient in a market where once-stout brands can vanish when homegrown rivals prove they know China better. Think eBay and Uber, both of which were eclipsed by local Chinese brands. But Starbucks is going to try — and it starts out with serious advantages. 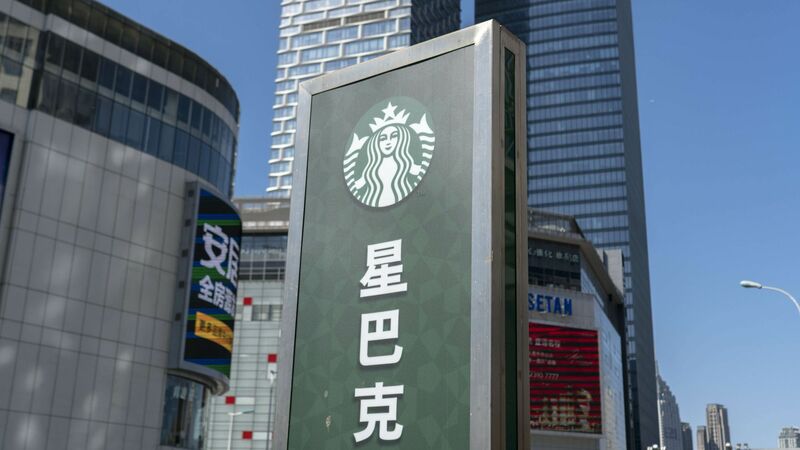 Since launching in China in 1999, Starbucks has grown to around 3,400 locations and captured some 80% of the market, per market research firm Euromonitor International, meaning that almost everyone in big cities knows about it. "For me and my friends, we don’t go to Luckin Coffee as often as we go to Starbucks," a 16-year-old Chinese girl told Axios by email, not wishing to identify her city. "I think that Luckin Coffee is more for people who are working and they want their coffee to be prepared fast." She added, "True, Luckin Coffee is non-expensive compared with Starbucks but that’s not critically affecting the fact that many people don’t know Luckin Coffee if they don’t drink coffee. My parents never liked coffee but they know Starbucks." The big thing: Starbucks was where many Chinese consumers were introduced to coffee in the first place, and "it's still the brand people look for and crave," says Humphrey Ho of Hylink Group, China's largest digital advertising agency. Still, the Chinese coffee market is embryonic: Chinese consumers drink about three cups of coffee per person per year, Euromonitor says. Compare that to 363 for Americans and 250 for Britons. That leaves plenty of room for upstarts. Coffee sales grew 400% in 2016 — and experts think the trend will continue, Euromonitor's Michael Schaefer tells Axios. And Starbucks cannot necessarily count on its image. Yi Hao, a 21-year-old Chinese college student from Beijing, tells Axios, "I don’t find Starbucks to be really cool. In terms of whether it is fashionable, the designs on their coffee mugs are pretty, but that’s really it." "To me, it’s just an ordinary coffee shop. There are many other brands of coffee like Costa," a U.K. brand. What to watch: After rumors spread of the Starbucks-Alibaba alliance, Luckin announced that it had accelerated plans to deliver light snacks — at cut-rate prices compared with those of an unnamed competitor.